Turf Types: There are many varieties of turf grass. We suggest and treat Bermuda, Zoysia and Fescue Turf. Picking the correct turf type for your lawn is critical. 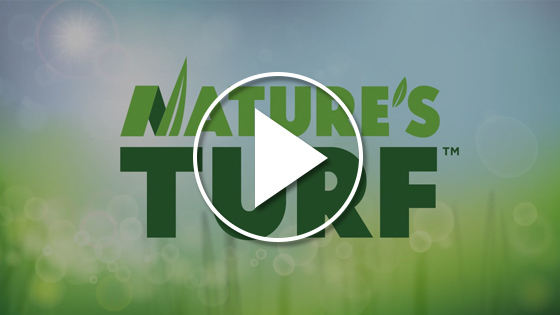 Make sure you study each turf type and pick the best for your environment. Bermuda Grass: This turf thrives in an environment with full sun and requires less water than many other grasses. It is referred to as a warm season grass because it performs the best during hot weather. When this turf is in full sun it grows rapidly and recovers well from insect and diseases issues. Bermuda grass is a dense, lush and fine textured turf. It also withstands high-traffic areas. Zoysia Grass: This turf is a warm season turf and thrives during hot weather. It is a slower growing turf with a deep green color. Zoysia grass is shade tolerant and thrives in a wide range of soil types. When treated properly this grass is a dense turf making it hard for weeds to survive. Fescue Grass: This is a cool season grass that grows best during the cooler months of the fall and spring. It typically slows down growth in the warm summer months. It is a dark green colored turf with a medium texture. Fescue grass thrives in shade and tolerates most soils. Unlike Bermuda & Zoysia grass this turf requires seeding every fall to rejuvenate and repair itself from the hot summer.